Re-charge your skin with this deeply nourishing moisturiser, perfectly balanced to promote a healthy, youthful complexion. Enriched with Green Tea, Baicalin and Seaweed this certified organic moisturiser minimises fine lines and boosts hydration. 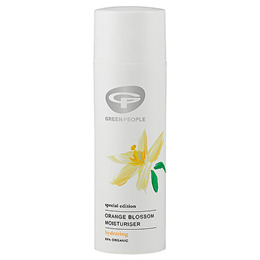 Infused with the light and uplifting aroma of natural Orange Blossom. Aqua, Butyrospermum Parkii Butter*^, Helianthus Annuus Seed Oil*, Olea Europaea Fruit Oil*, Glycerin*, Squalane, Cetyl Alcohol, Cetearyl Glucoside, Cetearyl Alcohol, Elaeis Guineensis Oil*^, Simmondsia Chinensis Seed Oil*, Alpha-Glucan Oligosaccharide, Glyceryl Stearate, Aloe Barbadensis Leaf Juice Powder*, Perilla Frutescens Seed Oil*, Persea Gratissima Oil*, Rosmarinus Officinalis Leaf Extract*, Chamomilla Recutita Flower Extract*, Salix Nigra Bark Extract, Ananas Sativus Fruit Extract, Aroma [Citrus Aurantium Amara Flower Oil*, Citrus Grandis Peel Oil*, Citrus Limon Peel Oil*, Piper Nigrum Fruit Oil*, Origanum Majorana Herb Oil*, Lavandula Hybrida Herb Oil*, Citrus Nobilis Peel Oil*, Cupressus Sempervirens Oil*, Citrus Aurantium Bergamia Fruit Oil*^, Citrus Aurantium Dulcis Peel Oil*, Pelargonium Graveolens Oil*^, Cananga Odorata Flower Oil*^, Leptospermum Scoparium Branch/Leaf Oil], Hydrolysed Jojoba Esters, Fucus Vesiculosus Extract, Sodium Stearoyl Glutamate, Citric Acid, Benzyl Alcohol, Salicylic Acid, Sorbic Acid, Benzyl Benzoate*, Benzyl Salicylate*, Citral*, Citronellol*, Farnesol*, Geraniol*, Limonene*, Linalool*. 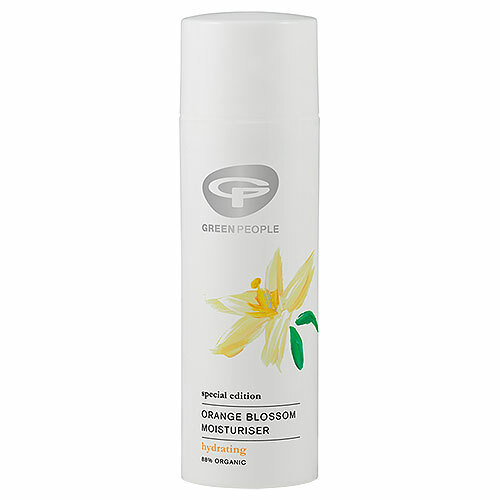 Below are reviews of Green People Orange Blossom Moisturiser - 50ml by bodykind customers. If you have tried this product we'd love to hear what you think so please leave a review.